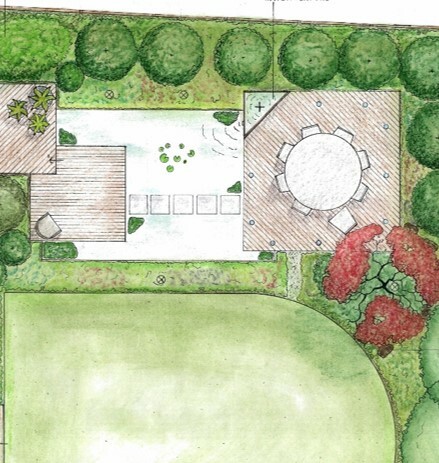 Create a garden that uses the slopes to create interest with a large entertainment area and a pond. The design should use environmentally friendly materials and include rainwater harvesting. An upper terrace should be the same height as the new extension. Privacy was also a key requirement. The plot slopes away from the property. 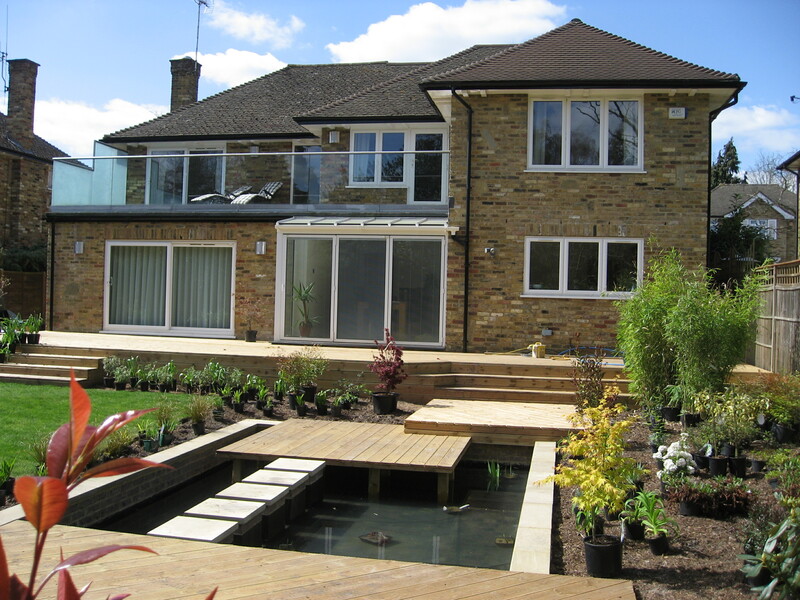 The level difference is made more acute by the need for the terrace to be at the same height as the bi-fold doors from the new extension which is around a half metre above ground level. 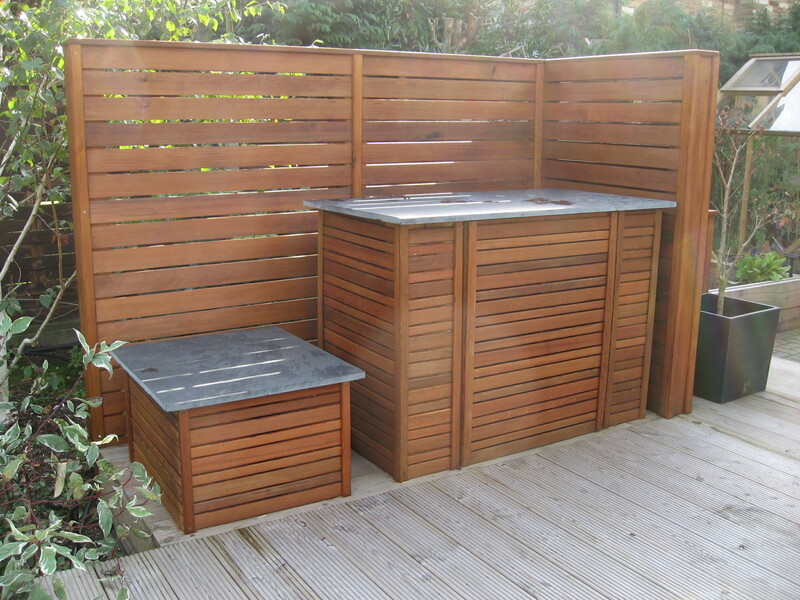 Due to the significant level difference, it was decided the most practical and cost effective material to build the terrace from was soft wood decking. 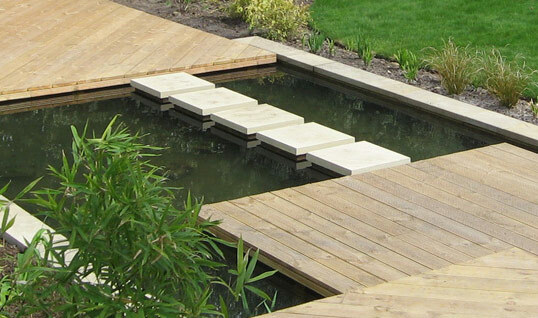 Rather than creating a single drop from the upper terrace to the ground, we created a series of ‘platforms’ dropping down gently to the last large deck at the rear of the garden that was accessable via a series of carefully constructed stepping stones over the pond. 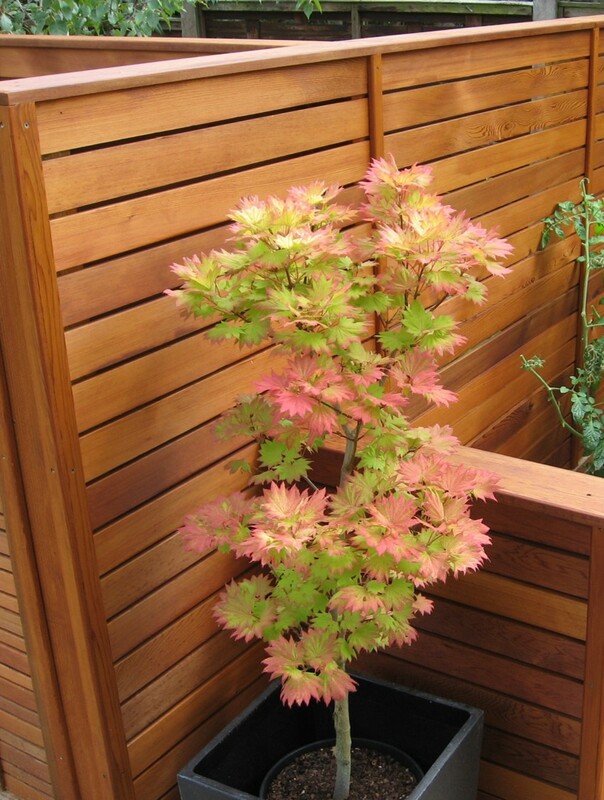 Yellow stemmed bamboos were planted along boundary fence to create privacy and specimen trees were planted to create a balance between the garden and the surrounding flora.